Recently in the news, at conferences we have attended and through conversations with our customers, there is one distinct theme popping up across all industries: the Fourth Industrial Revolution. According to the World Economic Forum, the Fourth Industrial Revolution is characterized by new technology that is fusing the physical, digital and biological worlds, impacting all disciplines, economies and industries. When thinking of the latest advancements in technology, you may think of virtual reality, self-driving cars or the latest Google product. But how are these advancements improving business processes, specifically within the steel tube supply industry? And what does it mean for the future of warehouses? The more you have insight into these trends, the more flexible you can be to the markets you serve. By adopting the latest data analytics technology, you can get a better idea of what products are likely to be ordered so you can have them ready to pull, cut and ship within 24 hours. ERP is the engine that allows a company to better gather data and manage core business aspects to eventually build the foundation for data analytics. A proper ERP system, such as Epicor, allows the user to accurately and efficiently enter data, while storing it in an orderly system. After information is entered, employees in any department have access to the most up-to-date data. For example, the accounting team can see the future A/R balance for a particular account that was just entered, the purchasing group can see how one order absorbs into the sales forecast and the operations staff can see the number of saw hours required at any given time. This business management software is a technology that is advancing and improving as fast as any other technology because it is such a core aspect of running any business, but especially warehouse operations. 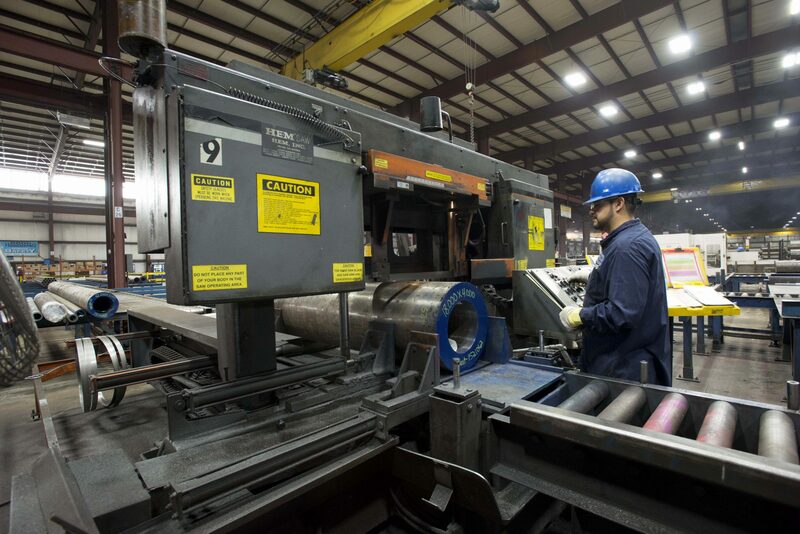 Future technological advances can help steel tube suppliers streamline operations, save time and allow more accurate forecasting. In today’s world, there are automated cranes, saws and packaging robots that can replace certain processes within the steel industry. On one hand, automation can mean an entirely new level of accuracy and speed compared to the traditional warehouse setup. It also means that machines can take on some of the riskier roles within the warehouse to further ensure the safety of its employees. Automation can create an increase in efficiency and the idea is not to replace employees in these roles, but rather to give them better tools to complete those processes. By doing so, a supplier can remain competitive in the market and also allow employees the chance to grow and explore additional areas of expertise. Combined with our employees’ skills and experience, we are committed to using technological advancements to serve our customers faster and more efficiently than ever before. To learn how we can help you, get in touch with us. What are some ways your company is using technology to revolutionize your processes? Share your thoughts with us on social media @NationalTubeSupply.